Most people assume that their body image – their perception of the attractiveness of their own body – will automatically improve after they lose weight. That seems fairly logical, right? If you don’t like the way you look now, surely you’ll be happier with your appearance once you’ve slimmed down? I beg to differ. I would argue that in order for you to reach your healthy weight and stay there permanently, you need to improve your body image first. Yes, you read that right. 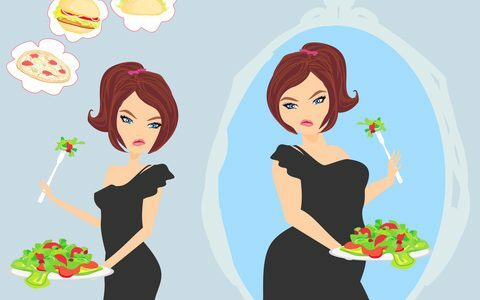 What I’m saying is that hating the way you look now is actually a direct impediment to you being able to make – and sustain – the kind of changes in your weight and body shape that you’d love to see. Reason # 1: Hating your body makes you feel down, and when you feel down you’re more likely to binge. British women’s magazine Top Sante surveyed 3000 readers and found that 90% said their bodies made them feel ‘down’. 73% said they binged on food, with 32% admitting to bulimic behaviour (bingeing followed by purging, either through laxative abuse and/or self-induced vomiting). The despair, disgust and hopelessness underlying this thought pattern are so overwhelming, your unconscious mind will drive you to seek relief… and one of the fastest ways to get temporary relief from these painful emotions is to eat ‘hyperpalatable’ foods, for reasons I’ve explained in a previous post. And because these foods not only pack such an enormous calorie punch, but also powerfully reinforce your desire for hyperpalatables and undermine your ability to enjoy healthy foods, every binge makes it harder and harder for you to lose weight. Confronting, don’t you think? What I’ve found over and over again, is that women who see themselves as “fat”, with all the negative associations that trail along after that word, don’t feel worthy of having the body they’d really like to live in. Not only do they feel judged by our thin-obsessed society; they judge themselves. They defer self-acceptance and self-love until after they look the way they believe they ‘should’ in order to be acceptable. They also have great difficulty seeing themselves as slim even when they’ve lost significant amounts of weight (see my previous post on body image lag), so they tend to self-sabotage and regain the weight they’ve lost. The key here is to love your body right now, not to defer that love until you look the way you want to look… because if you hate yourself now, you’ll still be hating yourself after you’ve lost weight – you’ll just find new things to hate! I agree with her 100%! If all you can see when you look in the mirror is your cellulite, your flabby upper arms, your protruding tummy, droopy bottom, thunder thighs etc etc etc, you can bet your bottom dollar that’s what you’ll be getting more of! Conversely, when you can look in the mirror and notice what’s already beautiful and attractive about you, you shift your energy significantly, and set yourself up to receive more of what you’re experiencing: self-appreciation, gratitude and contentment. That’s exactly what happened to Sona when we worked through The Mirror Exercise in The LEAN Program. When we began the exercise, she could only notice her “bingo wings”, “thick thighs” and “flabby stomach”. After we worked through the first phase of the exercise together, she could see her beautiful eyelashes, long legs and attractive hair – a hugely significant shift for her. When you feel confident about yourself, and in touch with your own attractiveness, you make decisions about food and exercise that support you in losing weight healthfully and keeping it off; you feel deserving of having the body you’d like to have. In last week’s post, I introduced you to John and Ashleigh, who both struggle with food cravings when they become anxious. As I pointed out in that post, “It’s not about the food”, many people overeat, or eat when they’re not genuinely hungry, to quell uncomfortable feelings. But why is it that, as John humorously pointed out, eating broccoli doesn’t have the same anxiety-relieving effect as his ‘frug’ (food-drug), freshly-baked bread with butter, Swiss cheese and avocado? The answer largely lies in 3 components of processed food that drive cravings like nothing else: salt, sugar and fat. 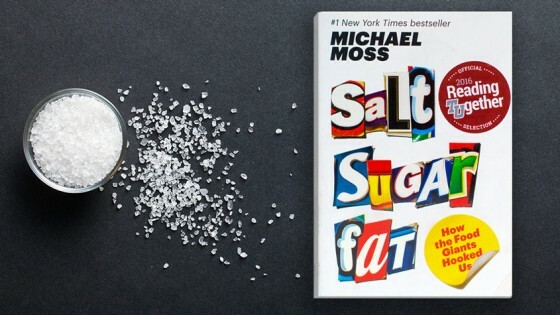 In his book Salt Sugar Fat: How the Food Giants Hooked Us, Pulitzer Prize-winning investigative reporter Michael Moss (whom you can watch in this interview) details how the processed food industry uses prodigious amounts of salt, sugar and fat in foods and beverages, very intentionally and unabashedly, to addict consumers. Adding sugar, salt and fat to food makes perfect sense from the point of the food industry: these ingredients drive overconsumption of the foods and beverages they’re added to; and they’re cheap and readily available, which maximises profit. The food industry employs scientists to study, in great detail, the way that the unholy trinity of salt, sugar and fat affects brain function in humans. For example, food technologists do extensive scientific studies on products before they’re launched, searching for the exact concentration of sugar that will hit what the industry calls the “bliss point” – the maximum amount of activation of the brain’s pleasure centre. They have also altered the chemical structure of sugar, and add enhancers to it that amplify its sweetness 200 times. Food industry scientists also use brain imaging and other advanced sophisticated neurological assessment tools to study the impact of fat on the pleasure centre in the brain. Using the results of these studies, food technologists then manipulate the chemical structure of the fats they add to processed food, to enhance their “mouthfeel” – the warm, melt-in-the-mouth sensation you get when you bite into a cheese-stuffed pizza crust, or a piece of chocolate. The food industry also manipulates the physical structure of salt, pulverising it to a fine powder so that it hits your palate faster and harder to provide what they call “the flavour burst” – that tingling sensation you get when you put a potato chip in your mouth, which is way much more intense than the potato chips from my childhood. Again, this flavour burst sends signals directly to the pleasure centre in the brain. When I work with a client, or with participants in The LEAN Program, I’m always looking for the thoughts, beliefs and past experiences that limit that individual’s ability to experience happiness. Once I find that happiness-blocker, I get to work with EFT to root it out… and then something magical happens: there’s a spontaneous outbreak of happiness! Everything in that person’s life that could be a source of happiness – their relationships, the beauty in their physical environment that’s just waiting to be noticed, the obstacles they’ve overcome and the personal growth they’ve achieved – suddenly becomes evident to them. And then the mindless pursuit of food-borne pleasure just drops away. Who needs to drug themselves with food when they’re already high on happiness? As a client said to me many years ago, when you finally find something in life that’s bigger than the chocolate cake, the craving just falls away. Whenever I’m working on food cravings with either my private clients or participants in The LEAN Program, we ALWAYS reach a point where they realise it’s not about the food. They start off completely wrapped up in the desire to eat chocolate, or lollies, or hot chips, or bread and butter, or whatever their “frug” – my portmanteau for food-drug which is what these so-called ‘hyperpalatable’ foods really are – happens to be. 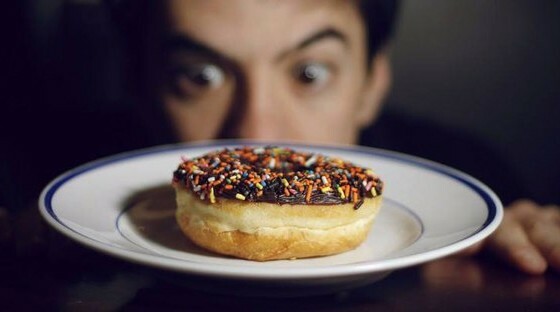 Then, as we apply the EFT or ‘tapping’ process to the sensory elements of the craving, such as the sight, smell, taste and texture of the food, the level of desire for it drops away. It’s at this moment that they usually notice the emotions underlying the craving: sadness, fear, anger, disappointment, shame, guilt, regret, loneliness or any of the other human experiences commonly labelled ‘negative emotions’ – a term I heartily dislike! I prefer to see these so-called negative emotions as elaborate and sophisticated feedback from our unconscious minds, acting as a guidance system to nudge us back into alignment with our deepest purpose. When we pay attention to our emotions, honour them and work respectfully with them through tapping, these emotions abate and make room for the feelings we prefer to have: hope, pride in our achievements, equanimity about our past mistakes and optimism for our future. Two wonderful experiences with my clients epitomise this transformation. John* and Ashleigh* are both firmly committed to following a healthy diet and lifestyle plan, but both get derailed by food cravings from time to time. The kinasethetic aspect – contrasting texture of chewy crust and cheese with softness of the inner part of the bread, creaminess of the butter and avocado. Then we tapped on the anxious feeling in John’s stomach that seemed to be soothed – for a short while! – when he’d eaten enough bread, butter, cheese and avocado. By the end of the tapping session, John felt neutral about his favourite concoction – no desire for it, and a sense that he could take it or leave it. Ashleigh has experienced dramatic health benefits from adopting a wholefood, plant-based diet, but still suffers sugar cravings when she gets anxious. We started her tapping session by working on the anxiety, and then segued to a Matrix Reimprinting session on a key memory from her childhood: her father making an unkind remark to her mother and aunty about her having ‘bulging hips’, right in front of her. This deeply painful memory was seared into her consciousness, and held in place a deep conviction that she simply could not be good enough unless she was thin. Like John, Ashleigh has been very kind and generous in agreeing to share the audio of her session. The phenomenon of ‘borrowing benefits’ – experiencing relief from your own issues simply by tapping along with someone else while they do EFT on their issues – is well-established in EFT circles, and has even been studied by 3 separate research teams. I know you’ll benefit enormously from tapping along with both these sessions. 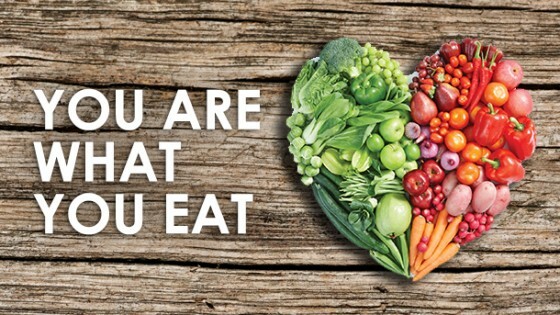 You’ve heard the saying “You are what you eat” a thousand times. But have you ever thought about what the trillions of bacteria that inhabit your gut might be eating, and how this impacts on your health? Your gut microbiome is comprised of roughly 500-1000 species of bacteria, whose combined numbers run into the trillions, outnumbering your own cells; along with fungi, yeasts, archaea and viruses. In case you’re feeling a little grossed out by the idea that your insides are teeming with ‘foreign’ life forms, consider this: even your own cells contain bacteria DNA. The tiny mitochondria inside most of your cells, which produce the energy that you need in order to think, move yourself around, make hormones, digest food, excrete wastes, and do all the other activities your body engages in on a daily basis, are thought to have originated from bacteria that were incorporated into the cells of very early life forms. The way our mitochondria carry out their metabolic functions still betrays signs of their bacterial ancestry (1). We truly are more ‘bug’ than human! But back to those bacteria that inhabit your gut. It turns out that each person has a bacterial profile that is quite unique to them – like a fingerprint. However, while the proportions of various different species may vary quite substantially from one individual to the next, all humans’ microbiomes can be broadly classified into two categories: a microbiome dominated by Prevotella species, and a microbiome dominated by Bacteroides species (2). ‘So what?’, you might be asking at this point. Well, for starters, having more Bacteroides overall, or more of certain Bacteroides species in your colon, is associated with a higher risk of developing bowel cancer (3), type 1 diabetes (4) and coeliac disease (5). The good news is that you have an amazing degree of control over the dominant type of bacteria you grow in your gut. It all comes down to what you put in your mouth. You see, only a certain proportion of the food you eat nourishes you. The remainder – the parts of the food that are either indigestible, or that escape digestion; as well as the byproducts of your own digestion of food – feeds your gut bacteria. Eat a diet high in fat, and you will end up with a Bacteroides-dominant enterotype, as these bacteria thrive on the bile acids produced in order to digest fat. Unfortunately, the bacteria metabolise those bile acids into compounds that are strongly implicated as causes of bowel cancer and inflammatory bowel disease (IBD) (6, 7). Eat a diet rich in carbohydrate, and Prevotella species will happily ferment the indigestible residues in your colon, producing short chain fatty acids, including butyrate, that protect against cancer and IBD (8). Even more remarkable, your gut microbiome begins to shift within just 24 hours of changing your diet in either direction (9). Starve those bile acid-eating Bacteroides by reducing your fat intake, and they will drop off pretty rapidly; feed your Prevotella with the fibre and resistant starch from legumes, vegetables, whole grains, fruits and nuts, and they will begin replicating at a rapid rate, ‘squeezing out’ unfavourable bacteria. This has powerful implications for those already suffering from a microbiome-related condition, such as IBD or bowel polyps, and also for people who are genetically at higher risk of such conditions: Researchers investigating the link between gut bacteria and type 1 diabetes, found that the sudden up-swell of the implicated Bacteroides species preceded development of the disease by about 8 months, and that it occurred at the time that solid foods were introduced (10). The types of foods that babies are weaned onto may have long-term implications for their health, with Western-style dietary patterns dominated by animal products and fibreless refined carbohydrates, establishing an enterotype that sets us up for Western-style diseases. In my own practice, I’ve seen remarkable recoveries from supposedly incurable conditions such as ulcerative colitis and rheumatoid arthritis, in clients who have adopted the low fat, high nutrient, wholefood plant-based diet that I prescribe. Until a couple of years ago, I always attributed these recoveries to an increased intake of antioxidants, decreased triggering of the immune system by antigen cross-reactivity, and other factors involving the interaction of food components with our human cells. Since the explosion of research on the human microbiome and its effect on our health, I now know there are other mechanisms contributing to the dramatic improvements in health that result from adopting a wholefood plant-based diet, that are mediated by the teeming colonies of invisible life forms that make our bodies their home. Whether or not you’re a nerd like me who is fascinated by every detail of the microbiome, here’s what you need to know: If you look after your gut microbiome, it will look after you! On Tuesday 12 April, I had the enormous pleasure of attending the seminar ‘How to Reverse Rheumatoid Arthritis Symptoms’, which featured the inspirational plant-based doctor Michael Klaper and Clint Paddison, developer of The Paddison Program. Dr Klaper has been a hero of mine since I watched his video – yes, video, as in VHS!!! – A Diet For All Reasons, when I was a naturopathy student in the early 1990s. Thanks to the wonders of modern technology, you can now just watch it online. Dr Klaper recapped some of the material he presented at the San Diego conference (which I summarised in my International PBNHC Round Up video – the section on Dr Klaper’s presentation begins at 1:44:05) and updated it with some new and fascinating research on the impact of diet on the human microbiome, which is now recognised to play a driving role in the development of all autoimmune conditions, including rheumatoid arthritis. A wholefood plant-based diet, with some judiciously-chosen supplements including probiotics, will rapidly reduce joint inflammation, fatigue and other symptoms of rheumatoid arthritis in the vast majority of cases. An elimination diet followed by careful reintroduction of foods, to identify food triggers, may be necessary for complete relief in some individuals. A water-only fast may be beneficial to resolve persistent inflammation (see my client Dennis’ story), or to achieve immediate relief from severe pain and inflammation at the beginning of the healing process. The program he has developed for reversal of rheumatoid arthritis is very similar to the way I approach RA and other autoimmune disorders. Now obviously there are many non-psychological factors that influence an individual’s outcome too, such as their diagnosis, the stage of their disease, and possibly genetic factors too. But there are certain mental attributes or features that appear to be indispensable for recovery. Here’s my first attempt at summarising these… and I’m sure this will be a work in progress! Intense frustration with being ill.
My clients report this in terms of ‘being at the end of my rope’; ‘I’m just fed up with this’; ‘I can’t take it any more’; and even ‘If the rest of my life is going to be this way, I don’t want to live’. People who have resigned themselves to their fate are generally not good candidates for recovering their health. At this point, the person perceives that the pain (physical and psychological) of being sick outweighs the pain of change. Many people fear changing their habits more than they fear continuing to suffer from their illness. This fear of change can prevent them from undertaking the degree of diet and lifestyle change that is necessary for overcoming chronic illness and restoring vibrant health. This follows from the last point. It has always amazed me that some people value the fleeting pleasure of eating certain foods, or smoking a cigarette, more than they value the enduring experience of enjoying vibrant health and boundless vitality. Yet many people do, and if they refuse to even entertain the idea that healthy living provides more pleasure than self-destructive habits, I can’t help them. There must be some vision of a better life that the unwell person holds, and believes is possible for them. Whether it’s simply the restoration of their former capacity, or going on to achieve even more than they did before they got sick, hope provides the incentive to change. People who’ve lost all hope of ever getting better simply won’t be motivated to change. People who recover their health become intensely curious about their illness – what caused it, why did it happen to them, what are the processes involved, how have other people with their condition recovered, what is the latest research on their condition. They turn their illness into a research project and commit themselves to learning and experimenting until they achieve recovery. In contrast, people who ‘check out’, try to ignore their condition or avoid thinking about it, aren’t likely to recover. Taking responsibility for one’s own health. All of my clients who have recovered from illness have taken responsibility for their own health. They treat their medical and health practitioners as resources, guides and mentors, not gurus or saviours. They question what they’re told, want to know the rationale behind the treatment plan, and recognise that having the right information, while absolutely critical, is a small part of success; what makes the difference is implementation. People who relinquish responsibility for their health to their doctor, naturopath, ‘healer’ or some self-styled ‘expert’ on the Web, aren’t likely to see real and lasting improvements in their health. Relentless commitment to do whatever it takes to get better. The process of recovering from chronic disease can be long, slow and frustrating, with many setbacks along the way (although sometimes it’s not, as Dennis’ story demonstrates!). 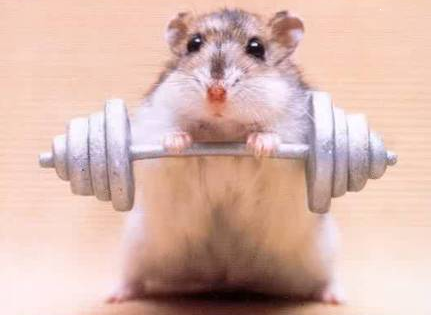 People who give up easily are not good candidates for recovering from chronic illness and building vibrant health. In a previous post, I summarised the answer I gave to an EmpowerEd member, during a live Ask Robyn session, about the 5:2 diet. Another question from that session was about Sweet Poison by David Gillespie, one of a slew of books and documentaries that has come out in the last decade or so, blaming increased consumption of sugar for the epidemic of obesity and diabetes in Westernised countries. First up, let me point out that David Gillespie is a lawyer by training and has no qualifications in nutrition. He claims that having legal training equips him to see flaws in arguments, and I know from the personal experience of being married to a (now ex-) lawyer that this can be true. The problem is that Gillespie’s complete lack of knowledge of basic human and nutritional biochemistry, not to mention the scientific process – he admits in the introduction to Sweet Poison that he almost failed biology and chemistry in high school, and boy, does it show – makes him prone to being sucked in popular theories that just don’t fit with the facts. 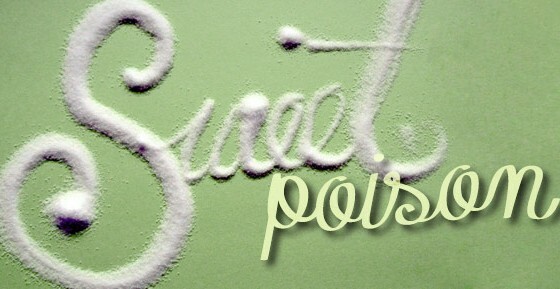 In the introduction to Sweet Poison, he describes how his quest to discover the ‘truth’ about sugar was set in motion by the 1966 book The Saccharine Disease, written by a British navy doctor, which blamed “the highly processed sugar and refined flour diet of the twentieth century” for the epidemic of obesity, diabetes and heart disease which was in its early days back then. The problem with this argument is that, as Michael Pollan pointed out in In Defense of Food, a reduction in the sugar tax in 1874 led to a massive increase in sugar consumption in England, since poor people could now afford what had historically been a luxury food for the rich. By the end of the 19th century, sugar comprised one-sixth of total energy intake, which is similar to current intake levels in western nations… but there was no accompanying increase in rates of obesity, heart disease or diabetes, rates of which did not begin to rise until decades later. If fructose (which along with glucose, forms sucrose or table sugar) is the deadly poison that Gillespie claims it is, why weren’t those Brits getting sick from it? In other words, swapping an equal calorie amount of fructose for other sugars actually improves blood sugar control in diabetics. Or, in plain English, the more fructose people eat (at least in Australia, the UK and Japan), the thinner they seem to be. “every gram of fructose we eat is directly converted to fat”. This is completely incorrect—every first-year nutrition student learns that fructose may either be converted to glucose (gluconeogenesis) and be converted into glycogen for storage, or be converted into fat (fructolysis). Evidence suggests fructose is preferentially converted to glycogen until liver glycogen (the storage form of carbohydrate in animals’ bodies) is replenished; only then will the fructolytic pathway predominate. “The metric equivalent of the calorie is a joule, and calculated using Einstein’s famous equation E=mc2 …” (p. 203 of Sweet Poison). ROFL!!! Einstein’s equation for the special theory of relativity has precisely diddly-squat to do with calories or joules. A joule is the basic SI unit of energy (and also of work), and is defined as the energy transformed (or work conducted) when a mass of one kilogram is accelerated at one metre-per-second-squared over a distance of one metre. Don’t buy into pseudoscientific claptrap about diet, written by a person with no education in the subject! Now, to be perfectly clear, I’m by no means telling you to go out and eat sugar. Refined sugar is devoid of the fibre, vitamins, minerals and phytochemicals that the whole sugar cane or sugar beet contains. Eating sugar, or any other natural or artificial sweetener, distorts your palate and displaces nutrient-dense food that you should be consuming instead. My point is that the search for a single dietary scapegoat that we can blame for all our woes is just plain stupid. Dietary patterns make the difference between health and disease, not the inclusion of some so-called ‘superfood’, or the the exclusion of some individual ‘villain’. I advise my clients to avoid sugar and all other sweeteners – yes, that includes agave, honey, and all the fancy-schmancy sugars – with just two exceptions: date sugar and organic blackstrap molasses. Instead of using dextrose (the most common form of glucose) as Gillespie incomprehensibly suggests, just learn to appreciate the natural sweetness found in fruits and starchy vegetables. My personal experience – backed up by virtually all of my clients – is that cravings for sweet foods diminish quite rapidly when you eat a high-nutrient diet of vegetables, fruits, legumes and whole grains. In fact, nowadays I can’t stand the sweet cakes, slices and biscuits I used to love; they’re too cloying for me. Gluten-free diets are all the rage right now. It seems like every second celebrity, athlete and blogger has lost weight, improved their tennis game, cured their anxiety/acne/cancer/leprosy and won Lotto, all because they cut evil gluten out of their diet. Now, don’t get me wrong. There are people who should absolutely avoid eating wheat or any other gluten-containing food because they have coeliac disease, wheat allergy or appropriately diagnosed non-coeliac gluten sensitivity, or a non-coeliac autoimmune disease which benefits from gluten restriction. Some people who have those conditions in a silent form, or haven’t been diagnosed correctly, would experience health benefits if they cut gluten out of their diets. But since coeliac disease and wheat allergy combined currently affect less than 2% of the Australian population, and non-coeliac gluten sensitivity is only slightly more common than coeliac disease, the majority of the more than 10% of Australians who actively avoid gluten don’t actually need to. Worse yet, following a gluten-free diet may actually be harmful, since it reduces the population of beneficial gut bacteria, setting up the circumstances for an overgrowth of harmful bacteria, and decreases the immune system’s ability to respond to infections. I’ll cover the #1 most often-circulated myth in this article. Wheat (and other gluten-containing foods) cause health problems in humans because we have only been consuming them since agriculture began, and that’s not long enough for us to adapt to them. Absolutely everything that humans eat now, including animals, has only been consumed since agriculture began. We have extensively modified all food species (plant and animal) through selective breeding, which was – and still is – intended to enhance desirable characteristics in food, such as size, sweetness, hardiness to environmental stress or cropping duration. It is simply no longer possible to find the species of plants that our ancestors ate unless we go foraging in the ever-shrinking wilderness; and the nutritional composition of beef, lamb, pork and poultry is dramatically different to that of the wild animals that pre-agricultural humans hunted. If you think that you should only be eating what humans ate in Paleolithic times, prepare to be very hungry indeed… and forget about living in a city! How long have humans been eating wheat, anyway? Wheat was first domesticated – that is, deliberately cultivated – in southeastern Anatolia (now part of Turkey) roughly 11 000 years ago. 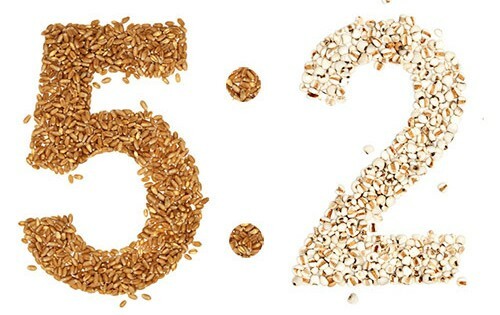 However, archaeological evidence from the Ohalo II site in Israel (a cave inhabited by hunter-gatherers) shows humans gathered, processed and ate wild grains, including barley and wheat, around 23,000 years ago – that is, during the Paleolithic era. They also ate herbs, nuts, fruits and legumes, as indicated by the tens of thousands of seeds and fruits discovered at the site. Aside from the fact that humans have been eating grains (including wheat) for far longer than we’ve been intentionally growing them, the argument that humans have not had enough time to genetically adapt to grains just doesn’t stack up. Furthermore, population growth increases the speed of adaptation – more individuals means more reproduction and more genetic diversity – and agricultural facilitated a dramatic increase in the human population. Only a few million of us walked Earth 10,000 years ago, at the beginning of the agricultural revolution. After roughly 8000 years of agriculture the human population had swelled to about 200 million people; and from there to 600 million people in the year 1700. Now there are over 7 billion of us. This rapid population expansion facilitates evolutionary adaptation. In fact researchers have found evidence of this adaptation in roughly 7 percent of all human genes. Let’s put it this way: if the CCR5 gene, which originated only about 4,000 years ago, can now be found in the genomes of about 10% of Europeans, (it probably increased resistance to smallpox, and now have been found to protect against HIV infection) it’s a total cinch for humans to adapt to eating wheat and other gluten-containing grains over the course of 23 000 years. 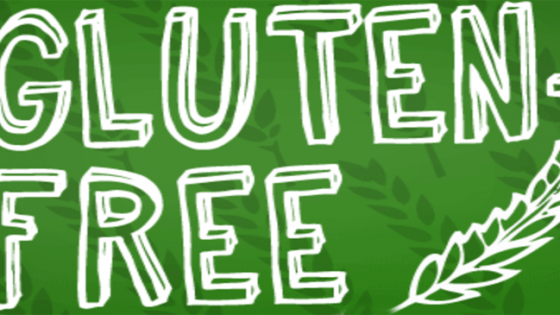 The bottom line: If you have a health condition such as coeliac disease, wheat allergy, non-coeliac gluten sensitivity, or a non-coeliac autoimmune disease that benefits from gluten restriction, you should be on a gluten-free diet. Everyone else can eat gluten to their heart’s content. In case you’re not familiar with this diet, and the book written about it (The Fast Diet), it’s a form of intermittent fasting. The idea is to eat a ‘normal’ diet 5 days per week, and then decrease energy intake dramatically on two days per week. Mosley recommends that women consume 500 calories/2090 kilojoules per day on these ‘fast days’, and men 600 calories/2500 kilojoules. He provides no evidence to support these energy intake recommendations, which appear to be quite arbitrary numbers. He recommends avoiding potatoes (which he incomprehensibly lumps in with ‘refined carbs’) on fast days, and instead eating high protein, low carbohydrate foods on these days such as fish and meat, claiming that these are more satiating (appetite-satisfying); yet the humble high-fibre, high-carbohydrate, low-fat potato has been found to be by far the most satiating food, dramatically outperforming beef, eggs, cheese and yoghurt. The 5:2 diet is definitely not recommended for people with a history of eating disorders due to the restrictive behaviour required to stick to it. Like any popular diet, of course, it’s promoted as an effective way to lose weight, particularly for people who struggle with ‘regular’ diets. But research on its effects is singularly unimpressive. 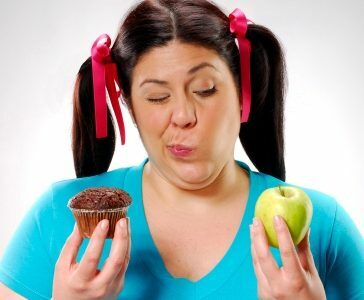 For example, overweight women randomly allocated to the 5:2 diet for 6 months only lost 6.5 kg on average, while those randomised to a standard calorie-restricted diet based on the Mediterranean diet (which contained a whopping 30% of calories as fat, 45% low glycaemic load carbohydrate, and 25% protein… in other words, a highly ineffective weight loss plan) lost 5.7 kg in 6 months. An 800 g greater weight loss over 6 months isn’t something I would be getting wildly excited about, considering what the women on the 5:2 diet had to go through to achieve it. The only difference was a slightly greater (although still very modest) effect on insulin resistance in the 5:2 diet group. But if you’re concerned about insulin resistance, rather than slashing your calorie intake, why not just add dried beans, peas and lentils to your diet? A trial of legume consumption vs a low calorie diet found that adding 5 cups of beans per week to the diet for 8 weeks was as effective as eating 500 less calories per day in reducing prediabetes risk factors including waist circumference and blood sugar level, and superior to caloric restriction for improving levels of HDL cholesterol and C-peptide.